Maddux has been through a lot of obedience training, and I mean a lot. As in, almost weekly for two years. He still has a hard time with “down” when there is food involved. On Monday morning, I mentioned to my Dad I was thinking of making pupcakes for Maddux. He immediately lifted his head out from the covers he was buried under. 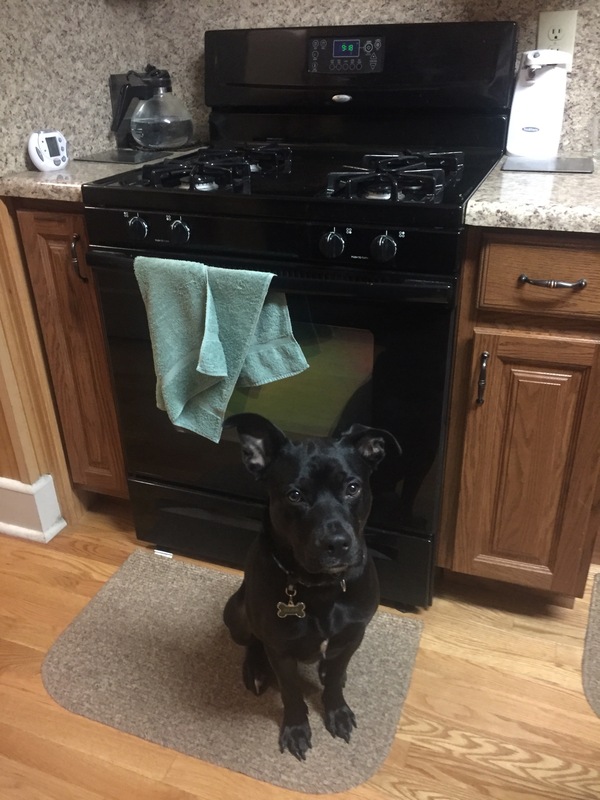 Later that night, we got some news that made me feel bad for him, so I said to him, “yeah, I think am going to go in and make pupcakes.” Almost like he was trained to do it, he lifted his head and came running over to me from across the room with his tail wagging. Bear, too, likes pupcakes – something that didn’t’ take him long to figure out. It just took him to eat one whole tray of them right before an event I had made them for, for him to quickly recognize the pan. Maddux stayed in the living room, and would come in every 10 or so minutes, but Bear was glued to my side the whole time I was making them. Once I put them in the oven, Bear just sat in front of the oven waiting. I was hysterical laughing. The one time he moved, Maddux ran in and stood there. And, then, both of them were standing in front of it. I literally couldn’t stop laughing and couldn’t grab my phone fast enough for photos. 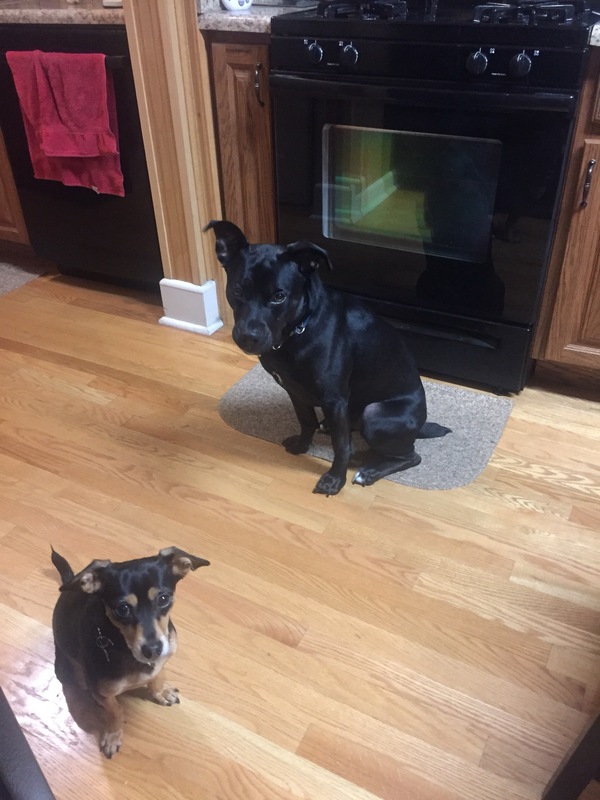 I cook a lot, and I do cook a variety of treats for my dogs, but for some reason, these pupcakes, they go nuts for. Maddux never usually bothers me in the kitchen, except when I am making these. 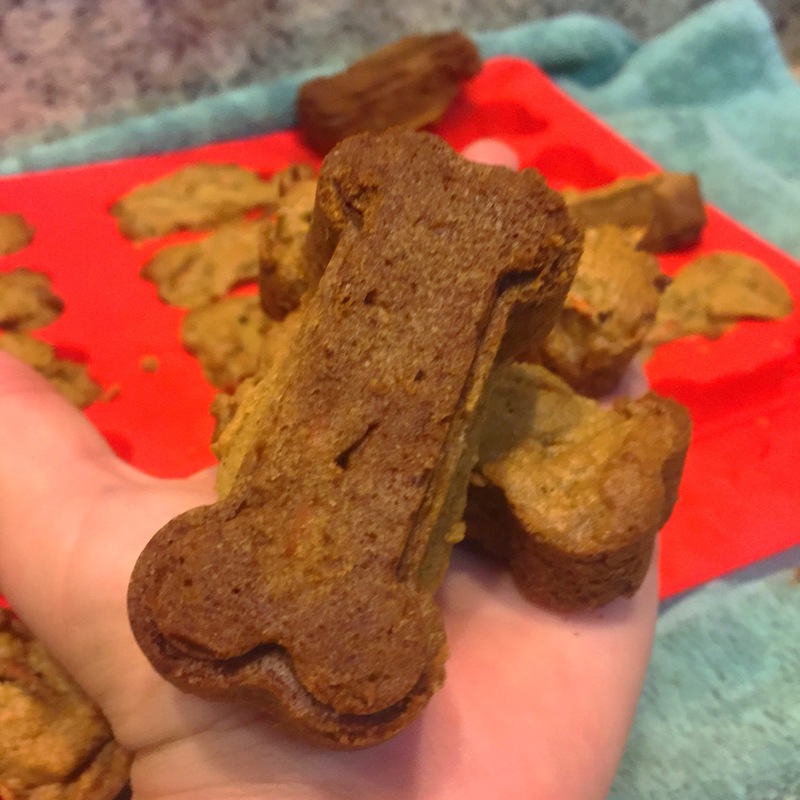 There is nothing crazy special in them either – it’s peanut butter, carrots, oat flour, egg, honey, vegetable oil and baking powder. That’s it. Whatever the reason, they are very funny and adorable when it comes to pupcakes.